The file Quake 4: Rivarez Mod v.19092018 is a modification for Quake 4, a(n) action game. Download for free. 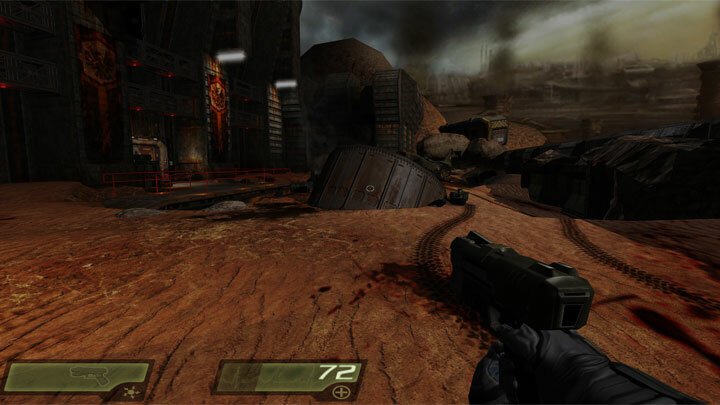 Quake 4: Rivarez Mod is a mod for Quake 4, created by Rivarez. This mod makes changes in game graphics and gameplay. New hi-res textures was created, improved game graphic with fixed SikkMod. Weapons was changed to be most effective, gameplay was little changed to be more interested. Increased the maximum amount of wearable ammunition (optional). At level where player releases a technician from prison, the technician does not upgrades the nailgun. Also removed a default railgun upgrade on the map. Now player can take upgraded nailgun and railgun at the post of weapons delivery on a spaceship when player get there the 2nd time. The "Invert mouse" option has replaced with a "Mouse acceleration" option. Extract and copy the „q4base to game’s main folder.